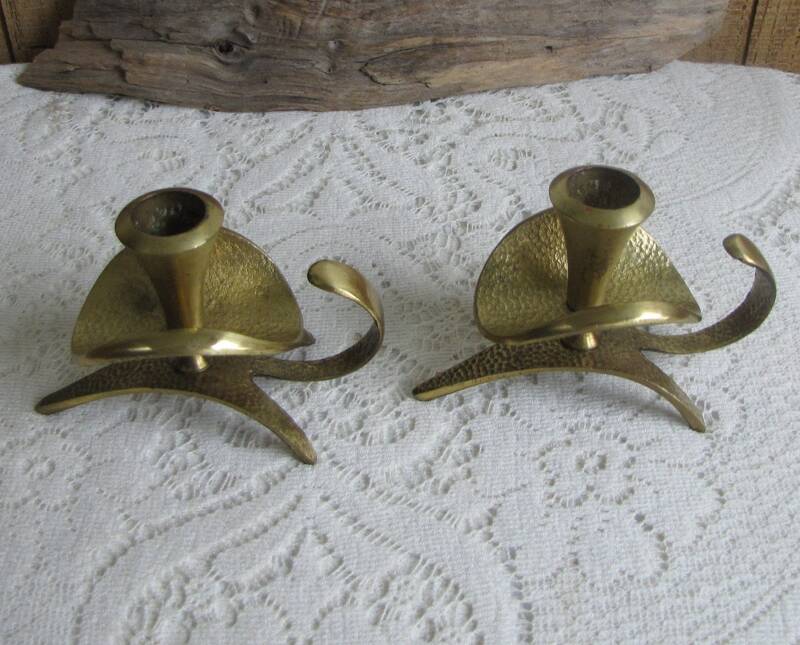 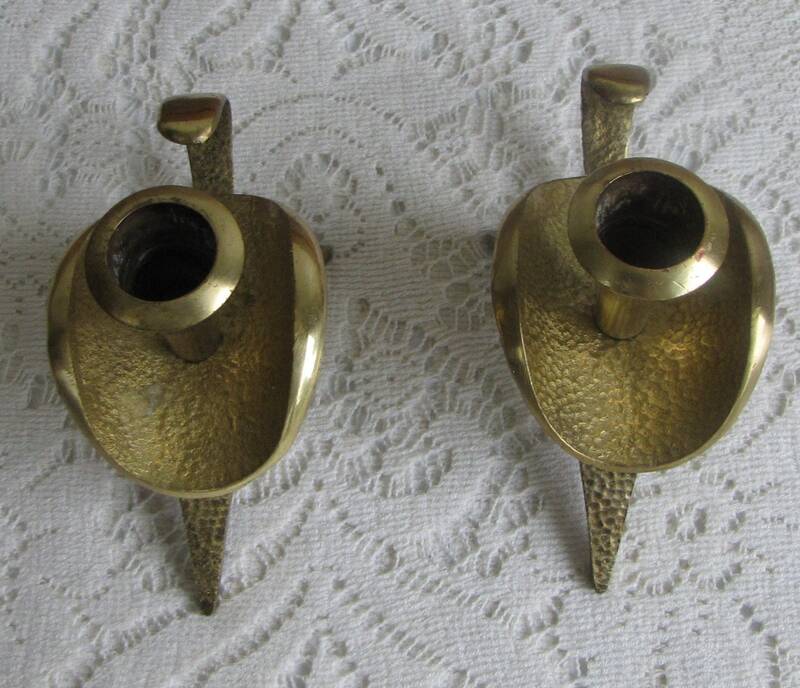 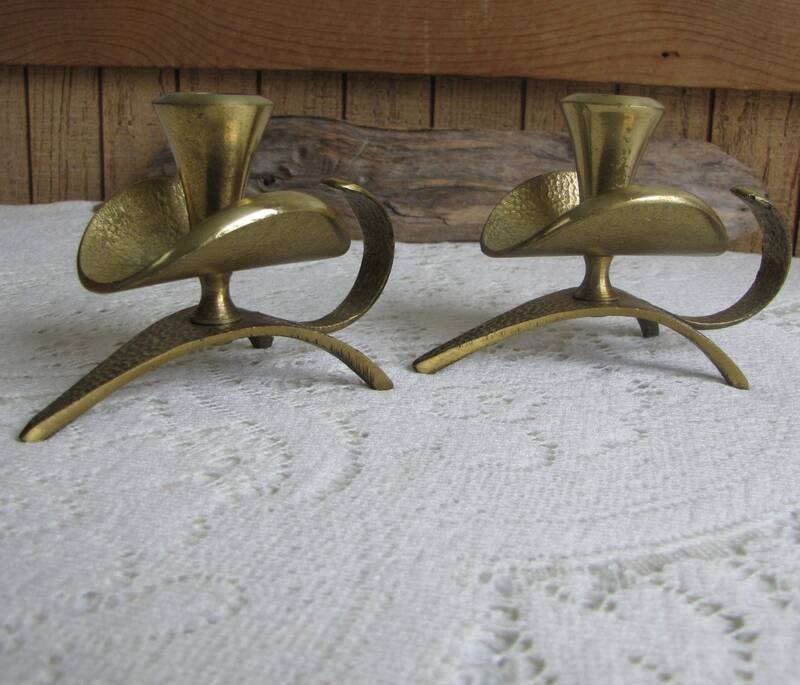 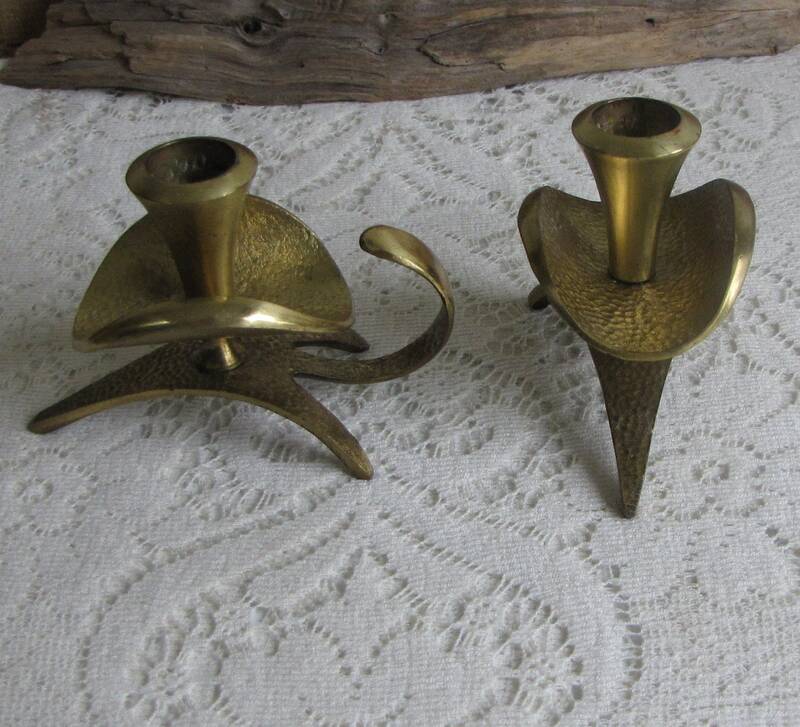 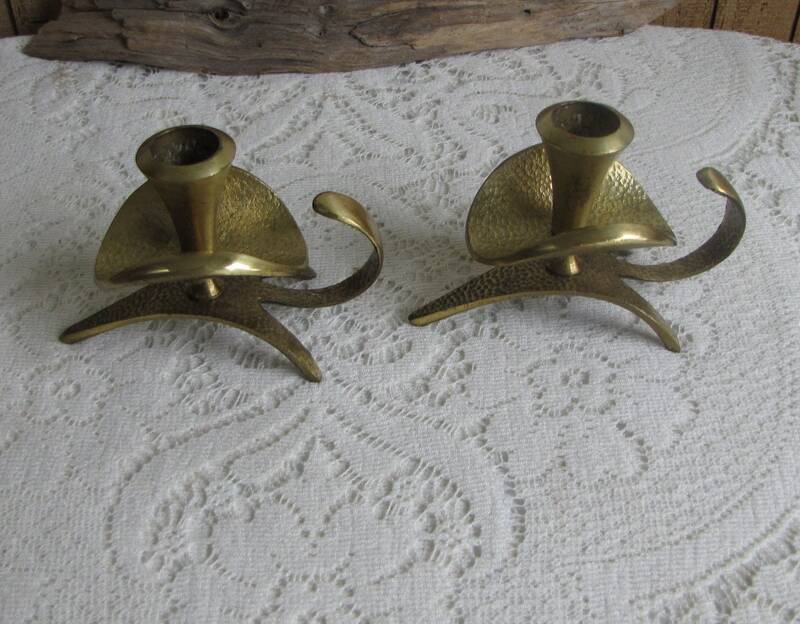 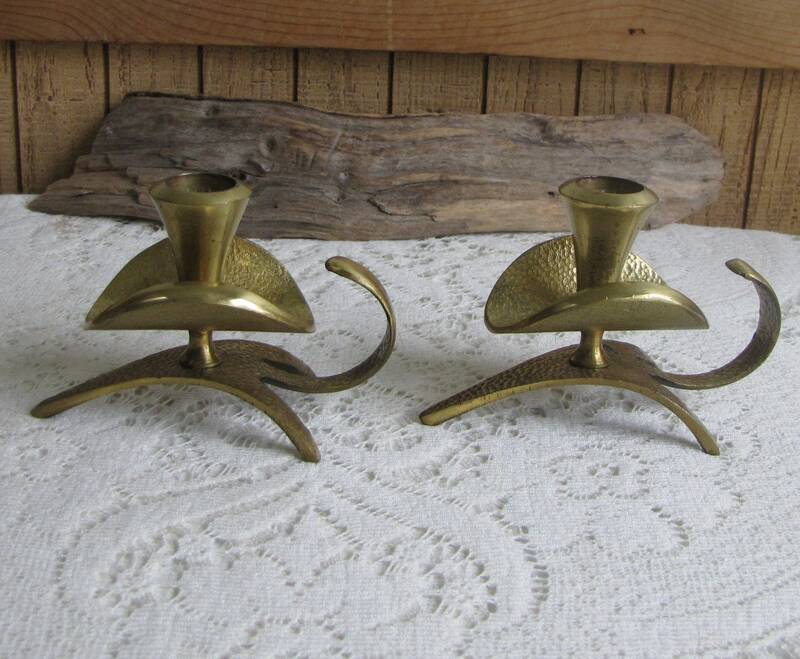 These vintage brass candle holders are hammered metal, more a cast iron than a brass. 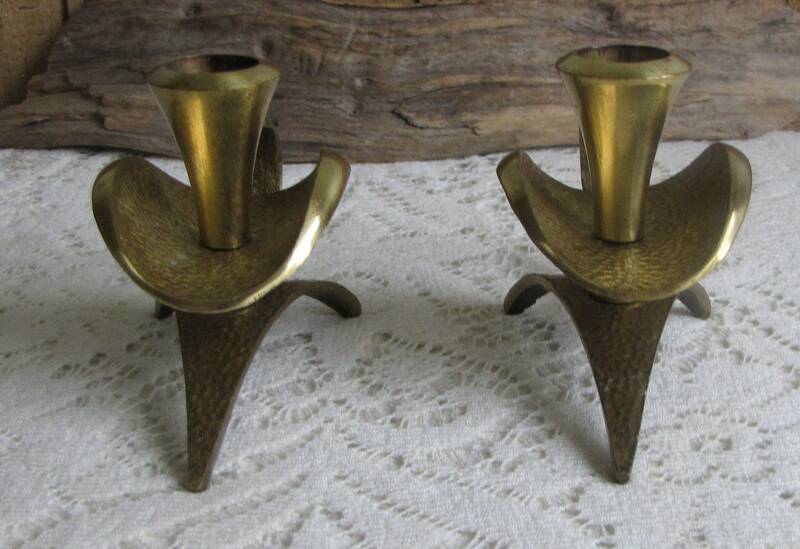 The actual candle holders (cups) are brass. 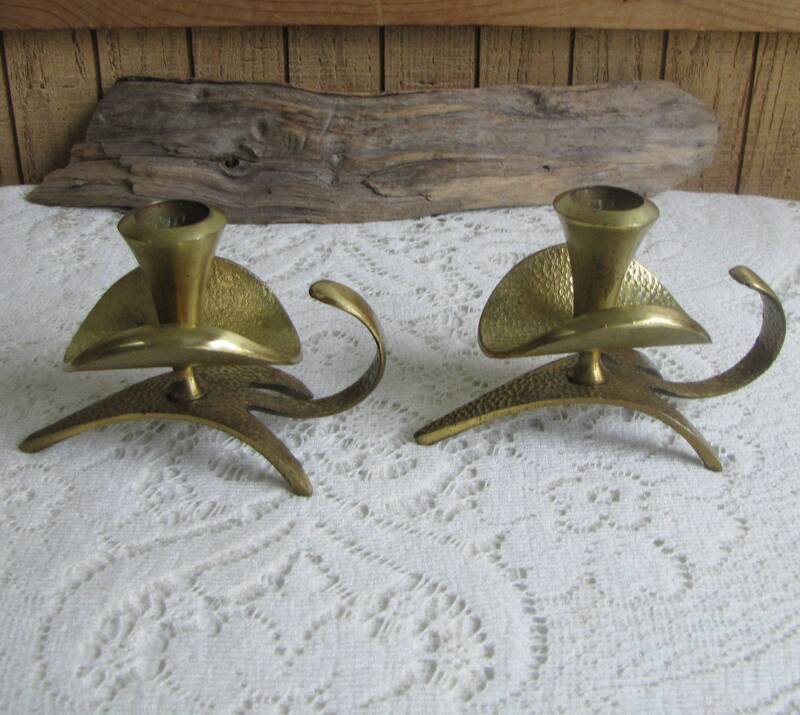 The pair are in very good vintage condition; some discoloration on the candle holders themselves. 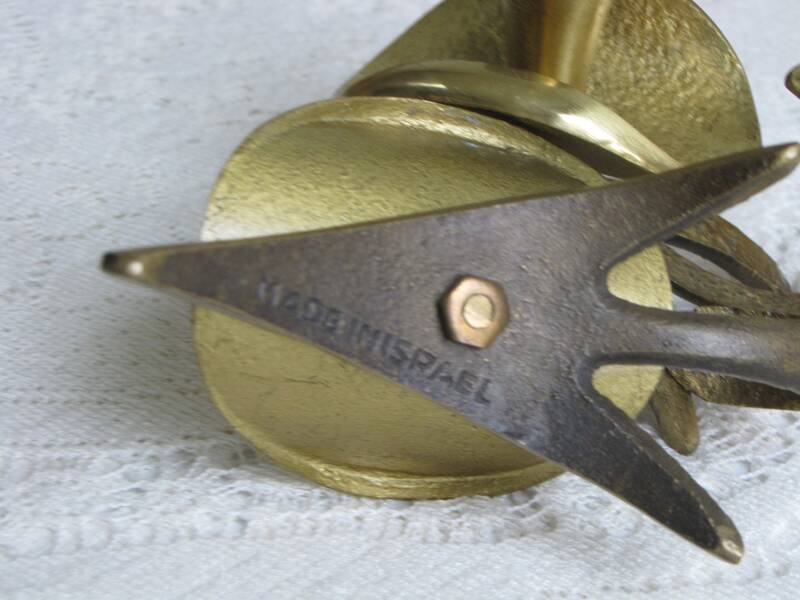 "Made in Israel" imprinted on the bottom of the pair. 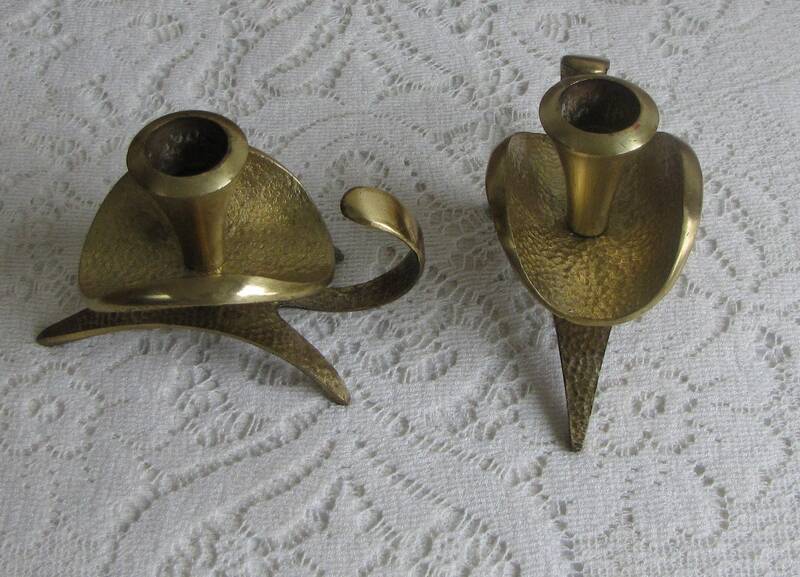 They are approximately 3 inches tall and 4 inches wide.